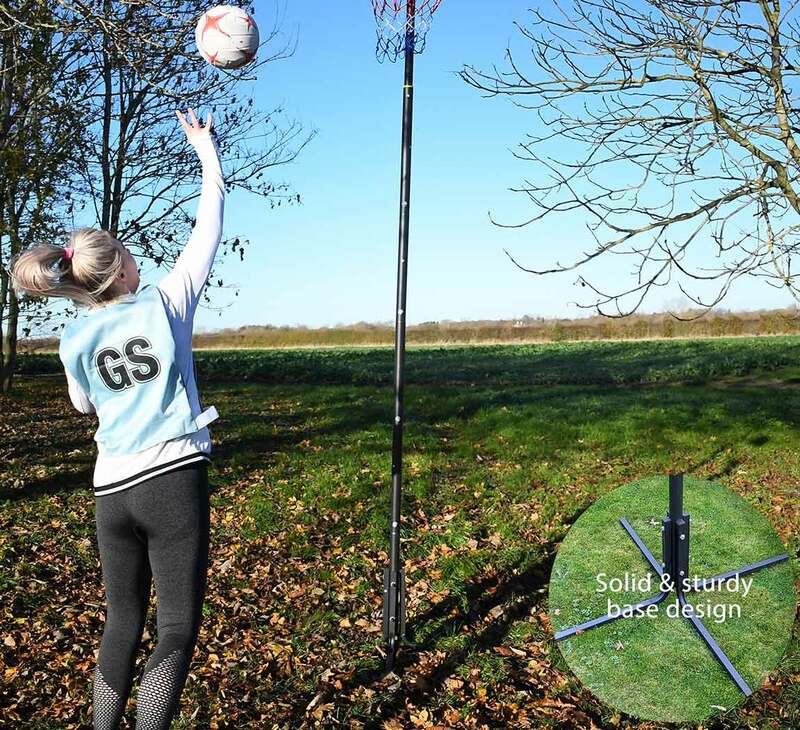 The Bee Ball Freestanding Netball Post is the ideal starter set, its fully adjustable between 2.25m and 3.05m (7' to 10') meaning it can see you right through to playing like the pro's. It's simple design means it's easy to assemble and lightweight making it completely portable, just a quick adjustment on the hand screw and the unit easily adjusts to your required height. The system can also easily be stored away if required by removing the upper and middle poles completely meaning the system is in two pieces which would easily fit into a garage or shed if required. 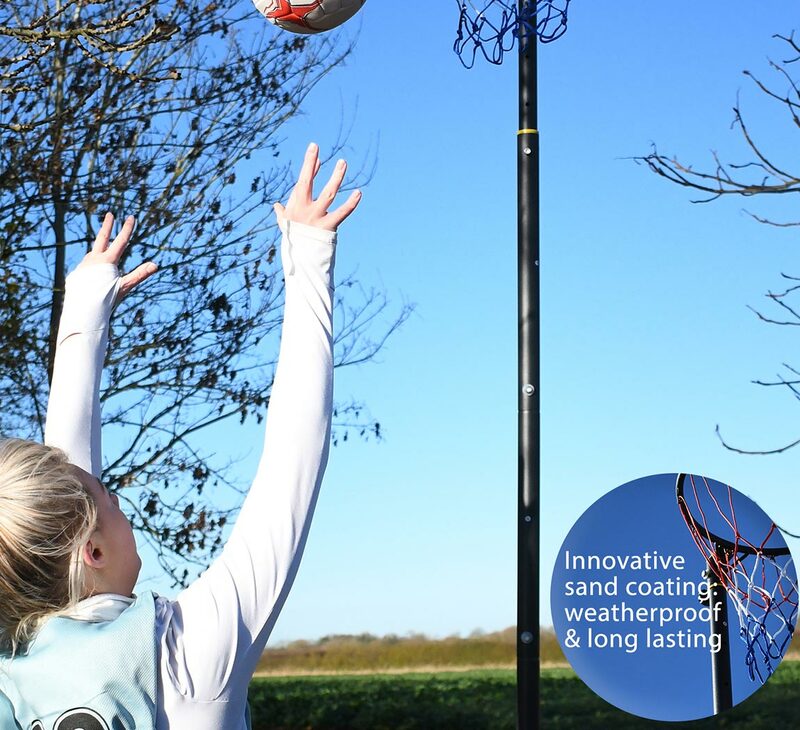 The ultimate training companion, freestanding and completely portable. 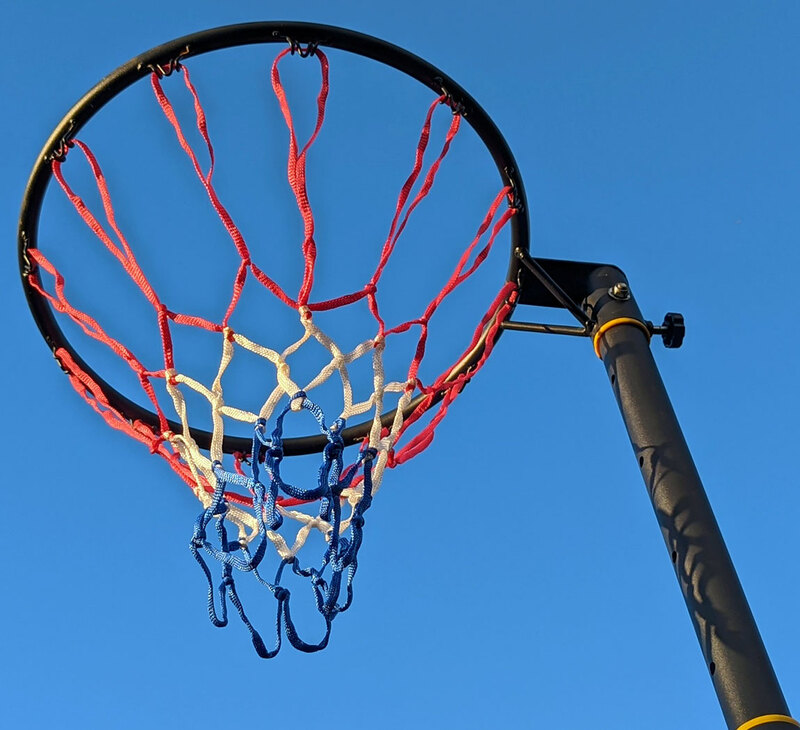 Beautiful sand coating finish gives a long lasting protective coating for years of shooting hoops.